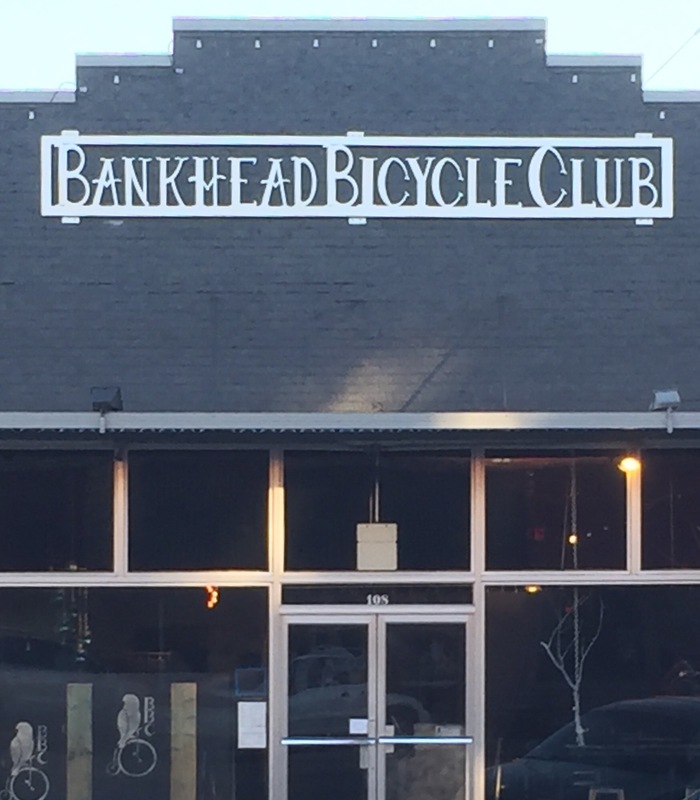 Bankhead Bicycle Club Restaurant @ 108 West Bankhead Street, New Albany, MS.
Today I’m experiencing the Balsamic burger served with a side of their golden fried onion nest, Rina’s cheddar maple bacon potatoes, and for desert…the Jenny Sue. 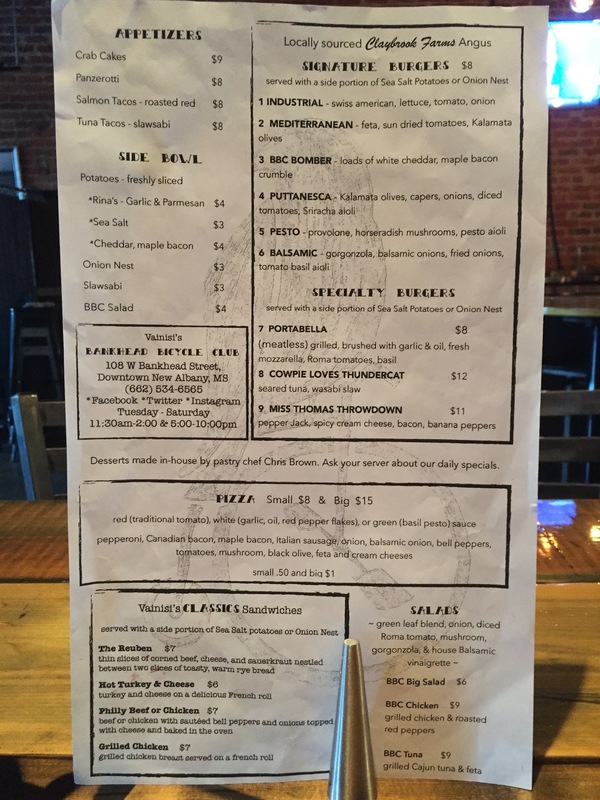 Oh, and the owner, Frank Vainisi, has a wide assortment of craft beer on tap and let me sample a couple, but to compliment my meal, he suggested the SweetWater Blue, which is a light ale enhanced with a hint of fresh blueberry. I had seen the BBC mentioned occasionally and was intrigued with what I read and saw. They have been hovering near the top of my “to try” list, and today I decided it was bout time! Driving down the street, you probably wouldn’t recognize the BBC for what is just behind their doors. They don’t sell bikes, just deliciousness! 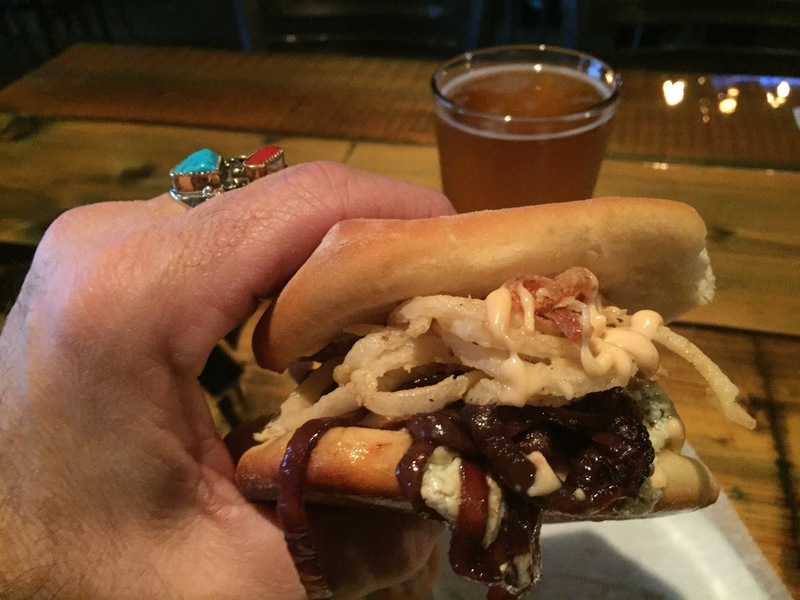 The Balsamic Burger is locally sourced Claybrook Farms Angus beef, Gorgonzola cheese, balsamic onions, fried onions, covered in a tomato basil aioli. 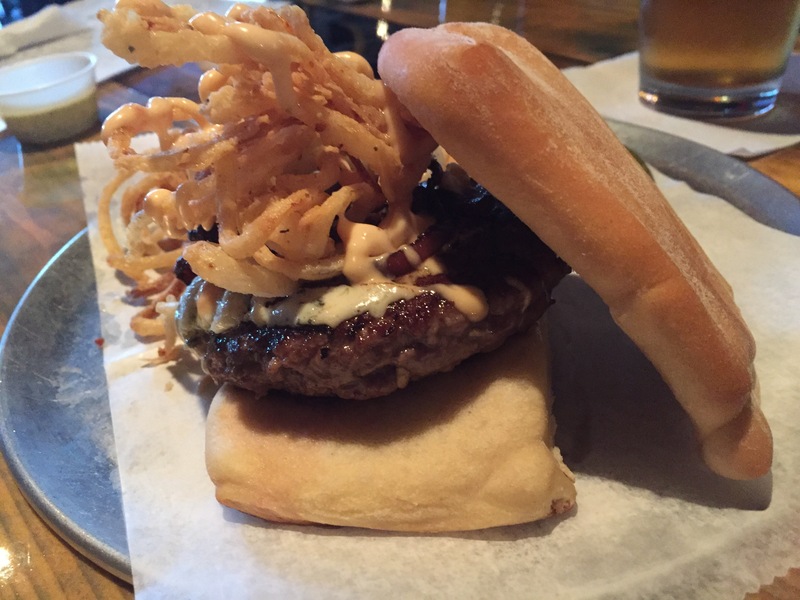 This burger has a lot of goodness going on. 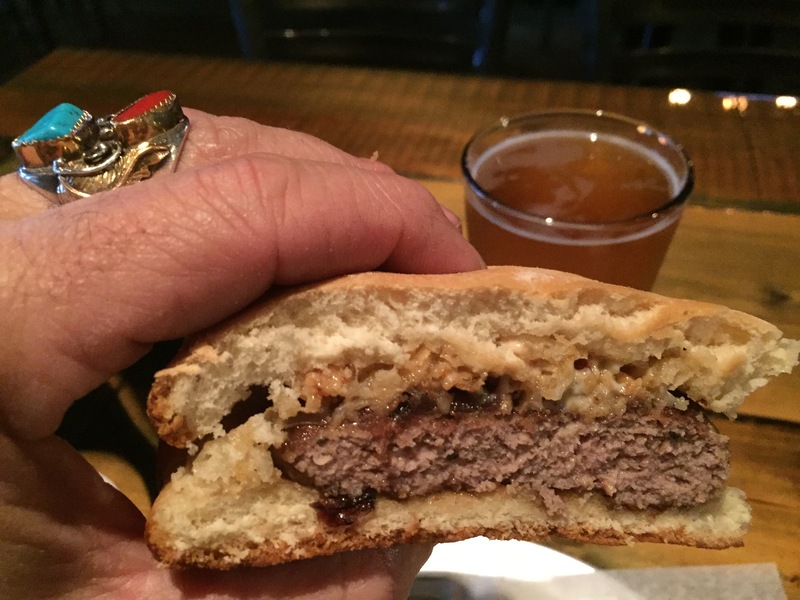 All the ingredients bring their own flavor, but meld to create a “new to me” burger experience. Gorgonzola is one of the oldest Italian blue-veined cheeses. The caramelized balsamic onions adds a nice tangyness, the thin crispy fried “onion nest” adds some extra texture, subtle sweetness, and a “CooL” factor that looks amazing. And all that topped with tomato basil aioli which kinda reminds me of a remoulade sauce. Put it all together on a nice bun / roll that I could eat by itself, and you’ve got a great combination. The onion nest is thin crispy fried onions. They have a subtle sweetness that taste good on it’s own, but I requested a side of the tomato basil aioli to dip with. That way it extends the same flavor from the burger to the side. 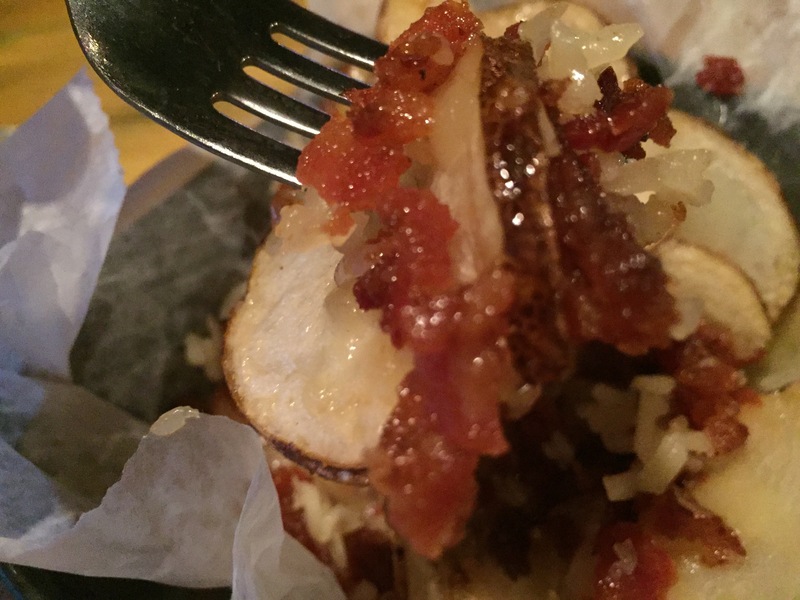 The Rina’s cheddar maple bacon potatoes are tasty enough to be a main course. 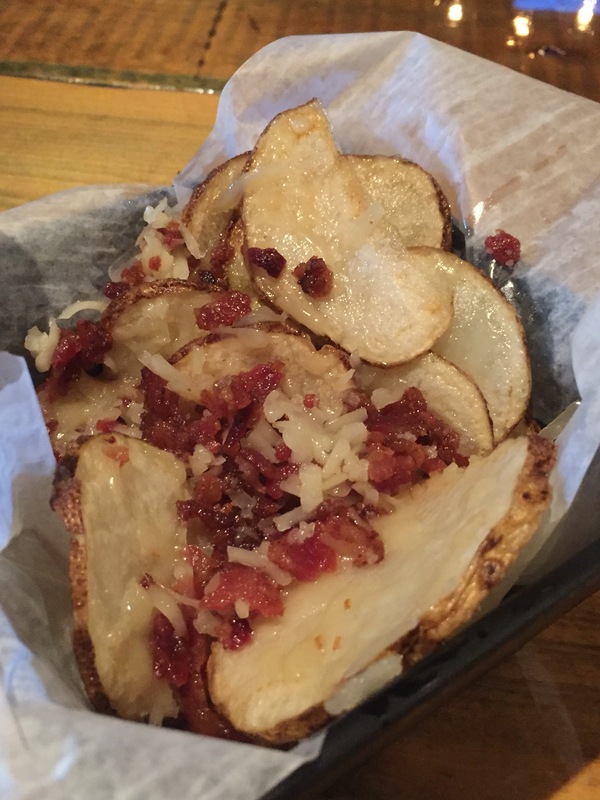 They are sliced potatoes, lightly smothered in…well…cheese, bacon and maple! You know how some potato dishes will have generous toppings, then less as you reach the bottom? Not Rina’s, it is as if the potatoes were tossed in the rich mixture just prior to being served…SO GOOD! 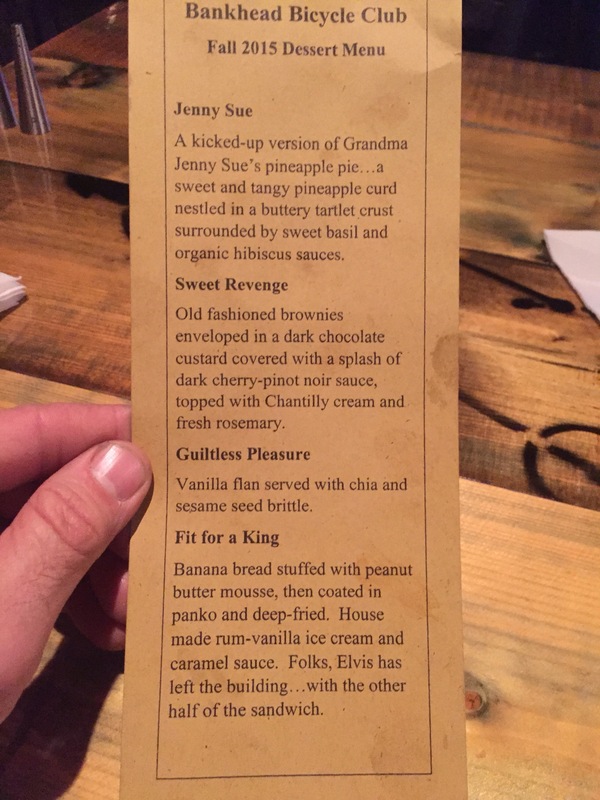 And for desert, the Jenny Sue. 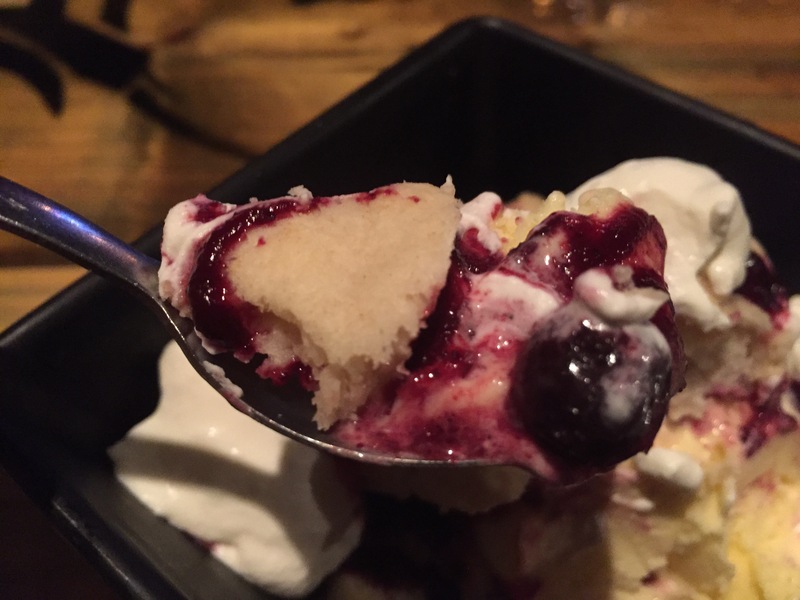 I provided a menu, but this desert has been reinvented, and only the name remains the same. 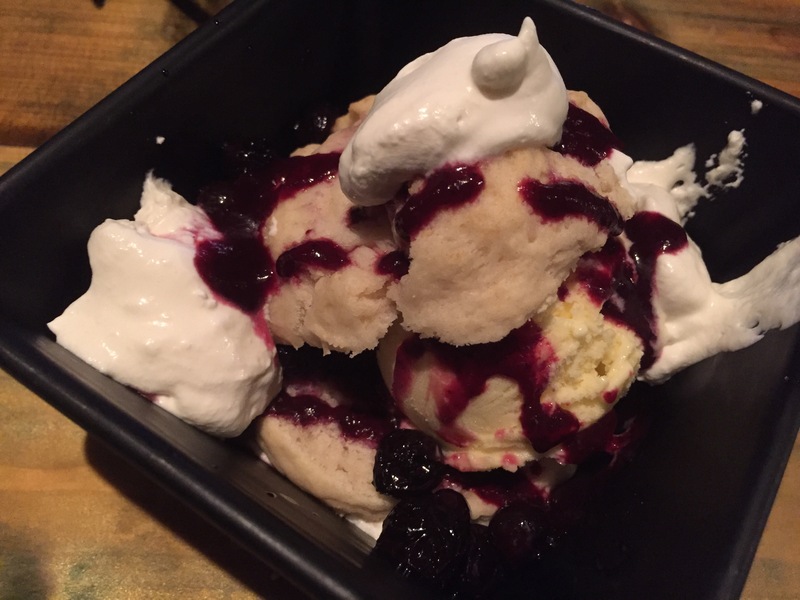 What I have is a homemade biscuit, with lemon curd ice cream, blueberries with sauce, and whip cream. OMG! 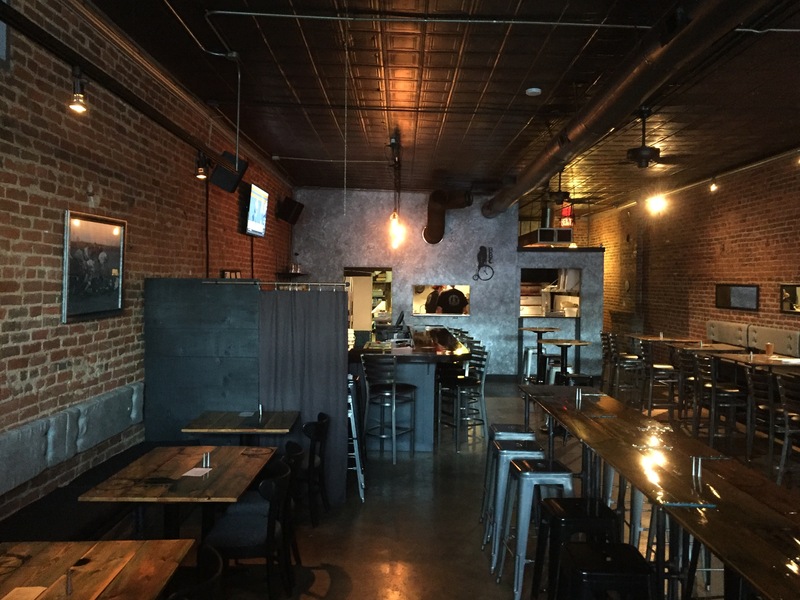 You know the restaurant scene in “When Harry met Sally”? If you’ve never seen it, google it! It was THAT good!!! BTW, the SweetWater Blue beer with its hint of blueberry, was smooth and not only complimented my meal, but also my desert! A perfect pick! 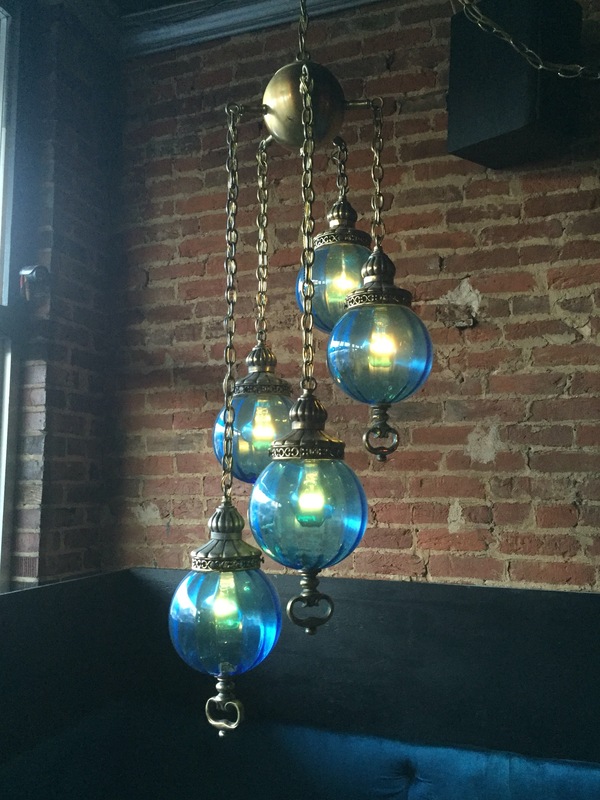 Ya know, their are a lot of really good eatin’ places with some great food we all know and love, but then sometimes you find a few hidden gems that have a menu that kinda looks familiar until you read the fine print and discover just how unique their creations really are. 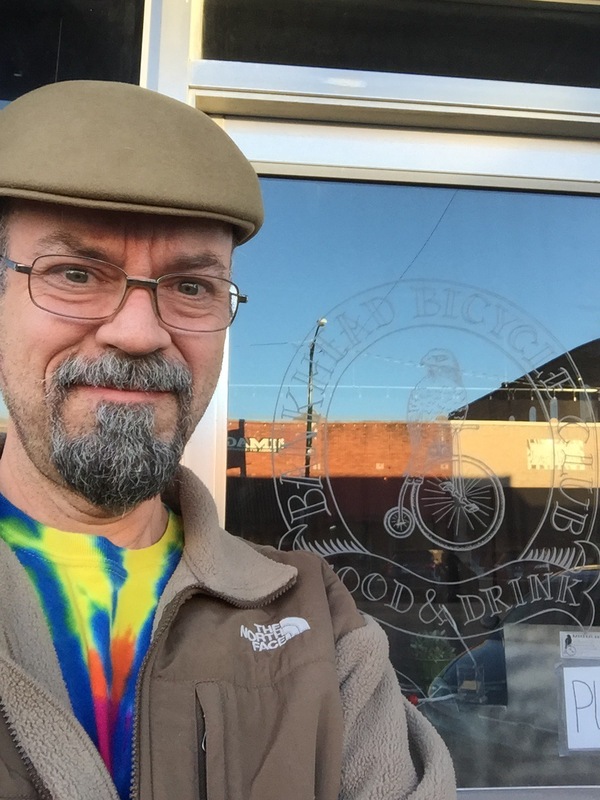 Today I traveled off the beaten path and found one of those rare gems in Bankhead Bicycle Club Restaurant. 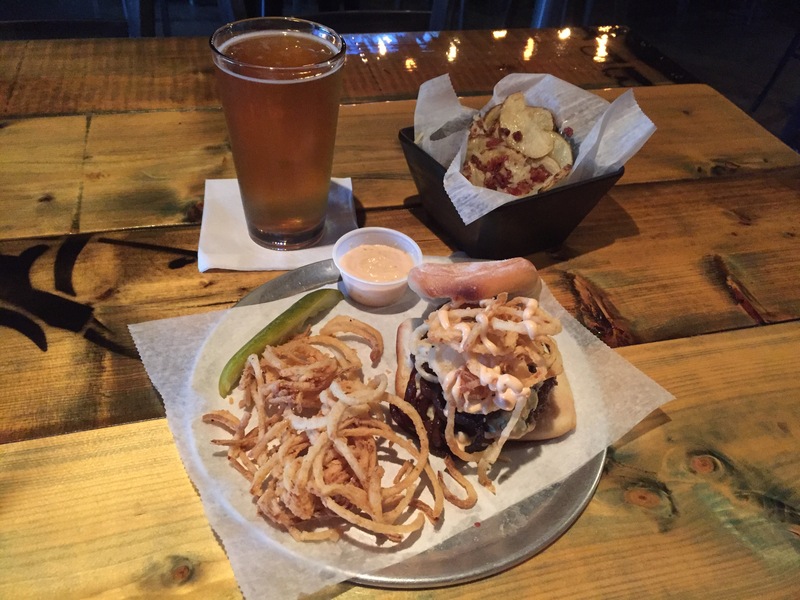 See more LOCAL Favorites and their FAMOUS foods! 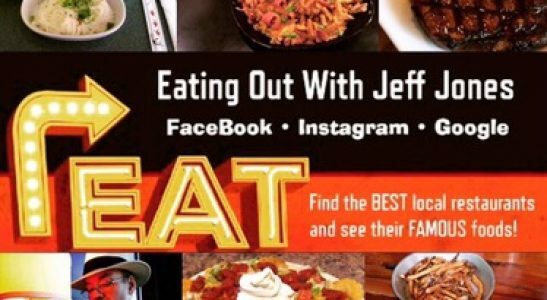 Check out my blog “Eating Out With Jeff Jones” on Facebook.